In 1961, the Acquisitions Committee of the recently formed National Trust registered its first donation. With this generous donation, from Matron E.M. Sage in 1961, the National Trust began acquiring moveable cultural heritage. The collection now contains over 35 000 objects, many of which are displayed at the Trust’s heritage properties. Matron Sage’s donation continues for a further three pages and is typical of the eclectic, everyday objects important to the interpretation of life in nineteenth-century Victoria. 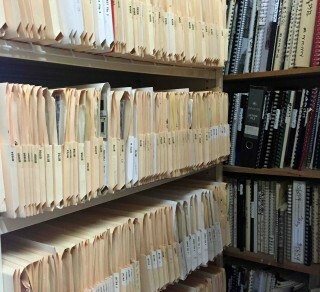 These diaries span over two decades, ending in the early 1980s, at a time when the Trust began to change its procedures. Nowadays each donation is registered onto a database. 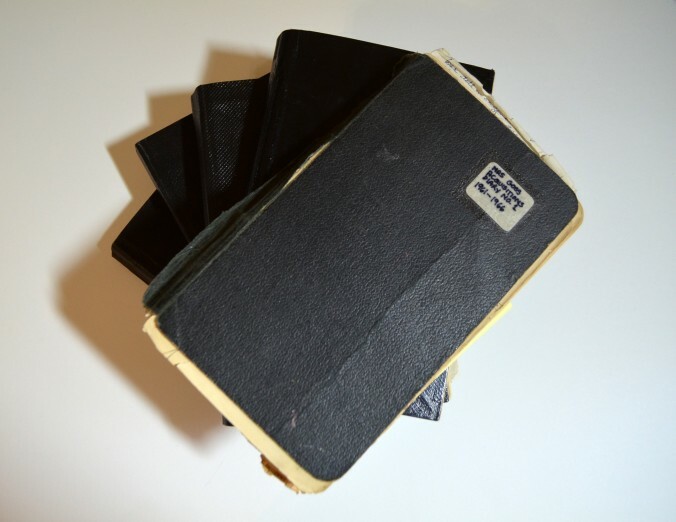 The diaries are handwritten and contain notes and other ephemera. They provide an insight into the collecting practices and priorities of the recently formed National Trust.